Google has just started to roll out Google Lens, the company's new AI-powered image search. 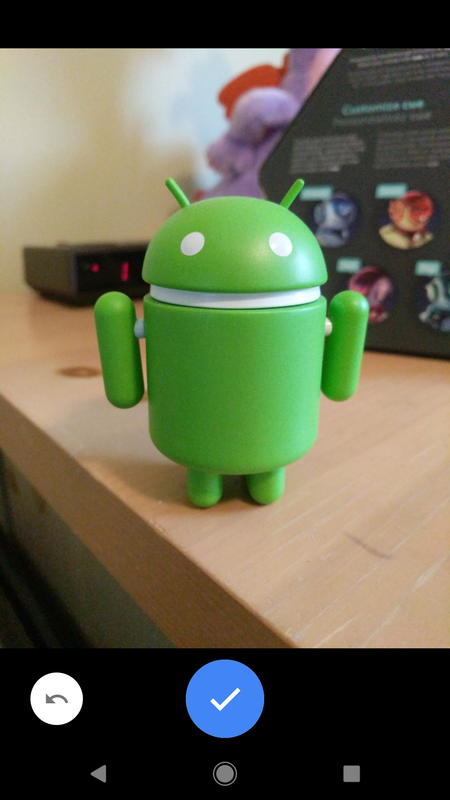 Simply take a picture of something, and Google's incredibly advanced algorithms will try to figure out what it is and give you search results for it. 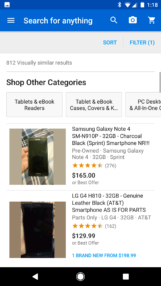 eBay has now added a similar (but less advanced) function to its mobile apps. 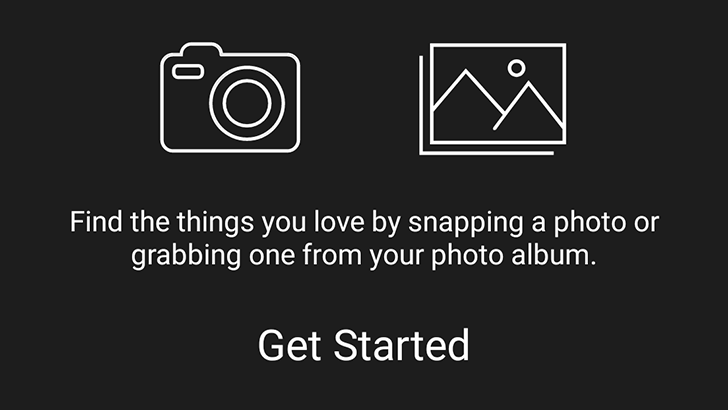 Simply press the camera button at the top of the app, and select the new 'Image Search' option. There you can either take a picture, or select one from your gallery. Then eBay's machine learning servers will try to match it with items currently being sold on the site. You can also share any image from any Android app through the 'Find it on eBay' share target. In practice, this doesn't seem to work all that well. 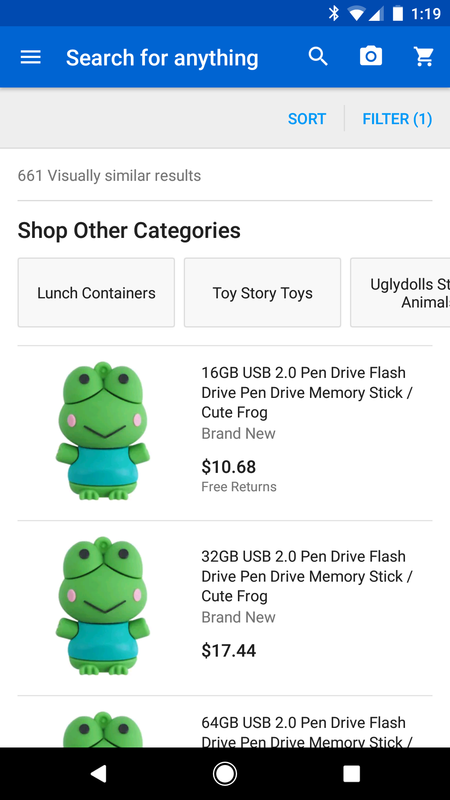 While taking a picture of my Galaxy Tab did pull up results for a Samsung phone, the app showed frog-themed flash drives from my Android figure and lamps from my Google Home. 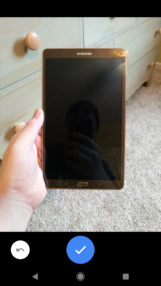 I'm sure this will get better over time, but right now it's very hit or miss. 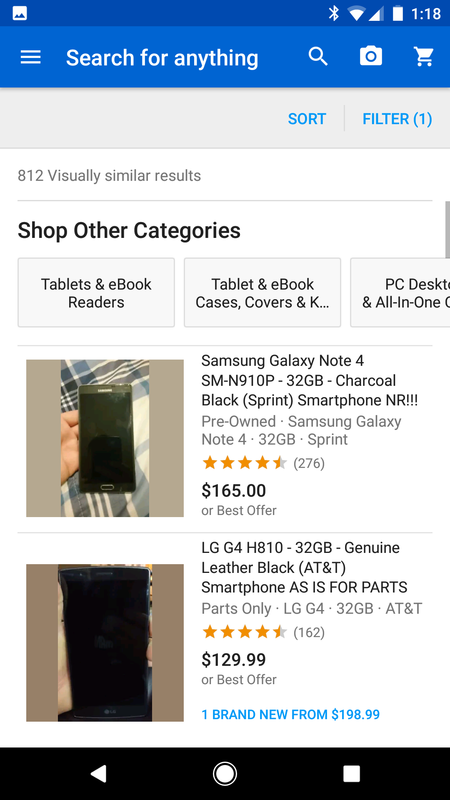 If you want to try this out for yourself, you can download the eBay app from the Play Store below, or from APKMirror.